Lawyers from Burnetts have raised more than £1,000 for The Lake District Calvert Trust by taking part in a sponsored 22 Peak Challenge in the Lake District. 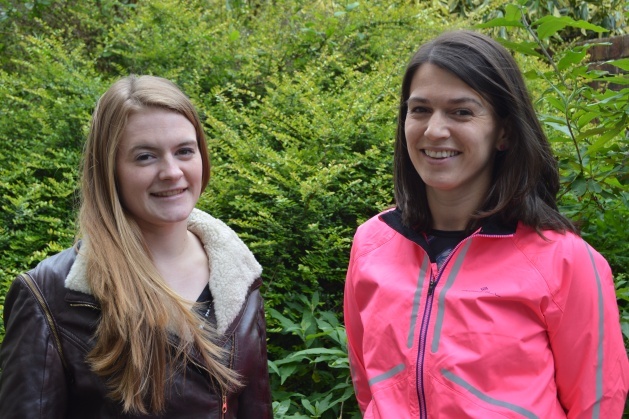 Solicitor Sian Spencer and Trainee Solicitor Sara Worsick will complete the challenge from 12th – 14th June, scaling the four highest mountains in England on a hike of more than 45 miles. The pair have raised money with donations from friends and colleagues at Burnetts (the firm also paid the £200 entry fee), as well as bag packing in Booths at Penrith. Children at Plumpton School, Penrith and Fairfield Primary School in Cockermouth will also be adding to the final total with dress down days scheduled for early June and July. Sian (pictured right) and Sara (pictured left) made the decision to take on the 22 Peak Challenge following a presentation by The Lake District Calvert Trust to Burnetts’ partners and staff when the charity was chosen as the firm’s Charity of the Year.